Lock & charge up to 12 devices at once. Set healthy boundaries with screen time. Enjoy more of the fun, screen free things in life! Find a happy balance with kids' screen time. Deal with all of the tech clutter, storing it away in one neat lockable box. Charge all of your tech in one location with 5, 6 or 12 USB charging ports. Perfect for iPhones, iPads, Smartphones, Tablets & PS4 remotes. What our customers are saying about inchargebox. More on testimonials page. I heard an ad on the radio for this yesterday afternoon while I was waiting to pick up the boys from school. I'm not an impulsive shopper but this I had to have. Ordered it on line yesterday afternoon, delivered today and I now have 2 x phones, 1 x TV remote , and PS4 controllers with chargers locked away in a very stylish box. I reckon it will even fit in the school laptop should the need arise. The box sits tantalisingly on the bench, taunting my boys. Notification alerts are going off willy nilly. The key is secreted away away on my person - all they have to do is finish their bloody homework and pick up their mess and I might unlock it!! Thanks Kate! 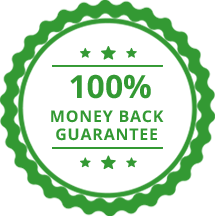 If you are not entirely happy with inchargebox at the end of 30 days, just send us a message and we'll refund your money, no questions asked. Take control of the tech today. We stand behind our product and aim to put your life first. In today's world you can't completely remove technology, but with inchargebox you can take back control & find a healthy screen time balance. We'd love to hear from you and will happily answer any questions or comments you may have!